Every morning, 125 million people around the world stick their fingers into their eyes. While it may make you cringe, for these contact lens wearers the benefits of improved comfort and flexibility are significant enough for them to choose this option over wearing spectacles. There are many reasons why people wear lenses – for some it is a matter of appearance, while many favour their practicality, particularly when engaging in sporting activities. Furthermore, unlike spectacles, they are not normally affected by wet weather, don’t steam up and provide a wider field of vision. Although contact lenses have been manufactured since the late 1800s, it was not until the introduction of soft contact lenses that the market really escalated. The launch of disposable lenses in 1988 created a renewable commodity, which could generate a sustainable income for retailers – marking their position as a significant business innovation. The concept of the contact lens can be traced back as far as Leonardo Da Vinci. In 1508 Da Vinci detailed a method of altering corneal power by submerging the eye in a bowl of water, in ‘Codex of the Eye, Manual D’. However, it was not until the late 1950s that a significant breakthrough in the conception of soft contact lenses was made. Professor Otto Wichterle, a Czech polymer chemist, and his assistant, Dr Drahoslav Lím, developed a transparent hydrogel plastic named ‘hydroxyethylmethacrylate’. This was composed largely of water and was soft and pliable when wet, but was capable of drying to become hard. The scientists published their research, ‘Hydrophilic gels for biological use’, in the journal Nature in 1960, but the design was not ready to market yet. While Wichterle’s soft and permeable fibre was comfortable to wear, its high water content made it difficult to handle. Furthermore, it provided a poor optical quality and debates arose about its potential to absorb infectious bacteria. Wichterle continued his research and in 1961 constructed a prototype of a spin-casting machine, using his son’s building set and parts from a bicycle. This centrifugal casting procedure provided a new way of manufacturing lenses, enabling the product to enter the market at last. However, without Wichterle’s knowledge, CSAS sold the patent rights to the US National Patent Development Corporation. Thus, it was in America that the spin-cast ‘Soflens’ material first obtained approval, from the US Food and Drug Administration (FDA). Bausch & Lomb made the first soft, hydrogel lenses commercially available in the USA in 1971. A year later, British optometrist Rishi Agarwal proposed the idea of disposable soft contact lenses, although this product was not launched on the UK market until 1988. The introduction of soft lenses to optics triggered a significant boom in contact lenses across the board. Their increased comfort and versatility saw them swiftly overtake their hard predecessor, and today only 2% of the contact lenses sold in the USA are hard lenses (although 16% of the market uses gas-permeable hard lenses – a 1979 innovation that allows oxygen to reach the cornea, just as a soft lens does). In 2010 the US soft lens market was estimated to be worth £1.3bn, whilst the overall contact lens market had a worldwide value of £3.7bn. According to Global Industry Analysts Inc, if the market continues to grow as predicted, this figure could nearly double by 2015; giving the global contact lens market a value of £7.2bn. Leading companies in the market include Johnson & Johnson, which Baird & Co estimates controls more than 40% of the market, with Ciba Vision, CooperVision, and Bausch + Lomb among other key players. The number of businesses selling contact lenses and providing optometry services has soared, as more retailers have sought to gain a share of this expanding market. Guernsey-based opticians and contact lens retailers Specsavers joined the sector relatively late, in 1984. However, the company grew rapidly, through a franchising system, to generate £1.bn global revenue in 2013. Today it has 1,650 outlets globally, including stores in the UK (one out of every three UK contact lens wearers chooses Specsavers), the Channel Islands, Ireland, the Netherlands, Scandinavia, Spain, Australia and New Zealand and employs over 30,000 people. But that is just the tip of the iceberg. The World Council of Optometry acknowledges 200,000 optometrists in 48 countries around the world – a number so high that they are represented globally by 89 membership organisations. Opticians are best placed to profit from the contact lens market because they can pitch the product to customers while reviewing their prescription and assist with any related issues. Thus, many began retailing their own-brand lenses. However, some contact lens manufacturers, such as Acuvue, benefited from stocking their products in optometrists’ surgeries. But it was not just retailers who benefited from the boom in soft contact lenses. As demand grew, so too did the level of investment in lens innovation. The polymers from which soft lenses are manufactured continued to improve, as manufacturers altered the ingredients to enhance oxygen permeability. In 1980 the first tinted lenses came to market. They were coloured light blue to make them easier for wearers to see, in the event that they dropped them. The innovations that followed came thick and fast. In 1981 seven-day extended wear contact lenses were introduced. These could be worn continuously for seven days without having to be removed at night. The following year, bifocal lenses were launched. However, it was in 1987 that the most significant innovation occurred. The manufacture of the first disposable contact lens created a new market in which contact lenses were a renewable commodity, providing retailers with an excellent opportunity to gain a sustainable income through repeat sales and customer loyalty. Some opticians, such as Specsavers, signed customers up to direct debits under which they made quarterly deliveries of disposable lenses to their customers’ doors. The main difference between regular contact lenses and disposables is that, while the former need to be removed (generally every night) to be cleaned and soaked in saline solution, their successors can be thrown away after use. ‘Daily disposables’, which were launched in 1995, now have 57% of the UK market, while 2001 saw the emergence of extended wear soft lenses, which could be worn continuously for 30 days before being removed and disposed of. However, in the 1990s and 2000s the disposable soft contact lens sector became riddled with controversy after it was claimed that daily and extended wear lenses were the same product sold in different packaging. The cost of long-life contact lenses, such as 7- or 30-day extended wear products, could be as much as five times higher per day than that of daily lenses, leaving many customers feeling that they’d been scammed. Several high-profile court cases ensued and Bausch & Lomb was forced to pay $68m in cash and vouchers to 1.5 million customers. Likewise, in 2001, Johnson & Johnson (which owns Acuvue) faced a legal battle in the USA and subsequently offered substantial compensation to customers who paid more for long-life lenses in the mistaken belief that the two products carried different medical recommendations. In 2005, the UK newspaper the Daily Mail claimed that British contact lens wearers could be paying an additional £250m a year as a result of the scam. 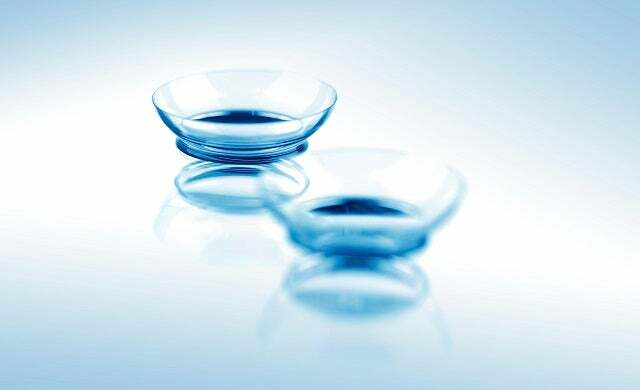 However, disposable soft contact lenses remained popular, revealing that in the 21st century consumers see contact lenses not as a luxury purchase, but as a necessity. What does the contact lens market look like today? Popularity of soft contact lenses continues to be strong and the market has in fact expanded beyond those who have genuine eyesight difficulties. The introduction of non-prescription coloured lenses has seen the item become a fashion accessory, allowing consumers to change their eye colour just as they would dye their hair. However, there are concerns about the effect on overall eye health of wearing cosmetic lenses, as they can easily be purchased online without consulting an optician. This is part of a wider market of online-only contact lens retailers, where businesses battle to provide the lowest price, taking a share of the income that walk-in opticians would otherwise have received. However, the greatest threat to the soft contact lens industry is the availability of laser eye surgery. This has the potential to eliminate the market for lenses, and indeed glasses, by correcting poor eyesight, thus making such items redundant. Yet this does not seem likely in the short term, as there is still much debate about the safety of the procedure and the long-term results it delivers. Furthermore, the high cost of the surgery prices many consumers out of the market. By contrast, contact lenses continue to provide a flexible product at a price that is affordable for the masses.